And what the heck is an 'Oogielove'? It was a decent Labor Day weekend at the box office, as movie goers decided they wanted to be scared out of their wits. 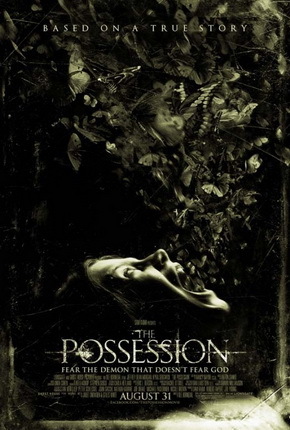 The horror movie The Possession ruled supreme, taking the number one spot in it's debut weekend. Another new film, the drama Lawless, did well too. But I'll tell you what got my attention: The fact that a movie called The Oogieloves in the Big Balloon Adventure officially had the worst opening weekend ever. As in, ever, for any movie. That's amazingly bad, and I'm now officially intrigued.The Oogieloves are really similar to the Teletubbies, if that helps answer the question of what the heck they are -- they are creepy foam characters called Zoozie, Goobie and Toofie that sing (badly) and get your kiddos to sing along, too. And apparently, they do NOT appeal to mass audiences, given that the per theater gross for The Oogieloves in the Big Balloon Adventure was just over $200. That's so bad it's amazing. Now, let's get back to the numbers for the top movies, shall we? Horror fans, you turned out big-time for The Possession. The movie seemed to do better than expected, taking in an estimated $21.3 million over the Labor Day weekend (the second best Labor Day opening ever, by the way). That's more than respectable, especially for a horror film. I think the PG -13 rating helped. Lawless, the star-studded drama from director John Hillcoat, managed to pull in $13 million over the long weekend, to claim the number two spot. The movie stars Tom Hardy, Jessica Chastain and Shia LaBeouf, among others. It's based on the true story of the Bondurant brothers and set during prohibition times in Virginia. Did anyone see Lawless over the holiday? I definitely can't handle The Possession (and yeah, the Oogieloves movie is out of the question), but this filmlooks like it might be a winner. Let me know in the comments, please!